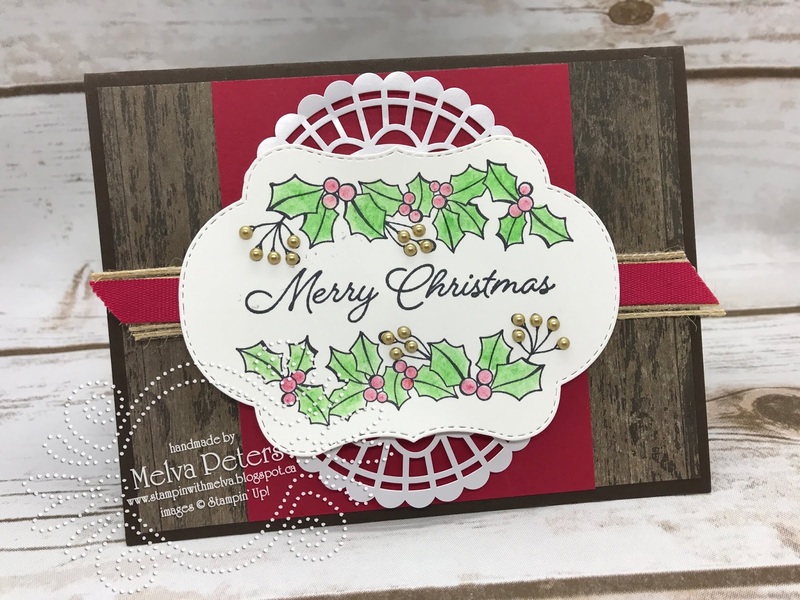 I know it feels a little early to be thinking about Christmas, but I've been playing with the Colour Your Season bundle that is available now. It's a perfect set of stamps and Framelits for every season. Check out the fall card I posted last week. 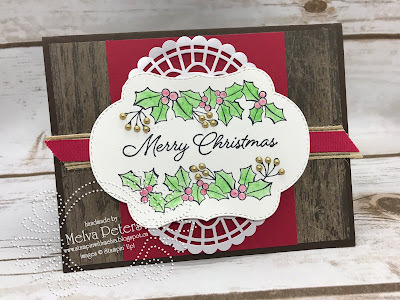 Today's card is for Christmas. I've used the Watercolour Pencils that are also available for a limited time to colour the leaves and berries.